I should be writing Delivering Hope right about now. I’m 30k words in, which is great. It’s far further along than I thought I would be after everything. But I’m not writing right now. Instead, I’m wondering about humanity. Yesterday was Friday 13th. Bad luck according to many, but I don’t think luck had much to do with a lot of the horror of yesterday. The lights in Paris are out. 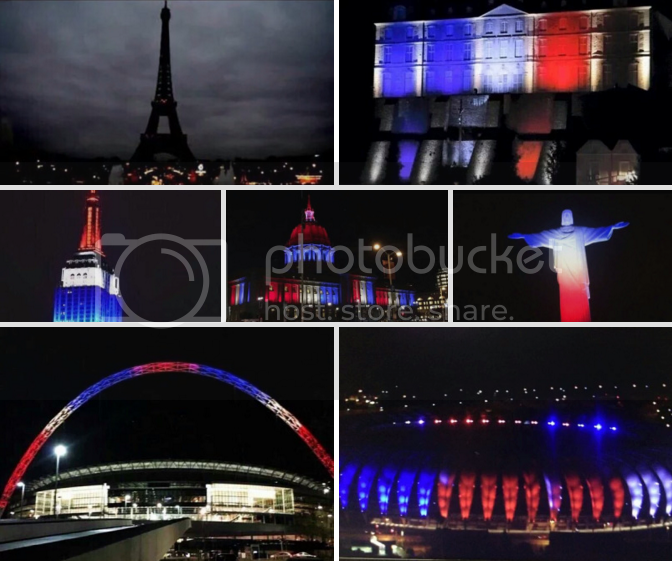 And the rest of the world is sharing its grief in France’s national colours. Such is the sadness of our hearts. 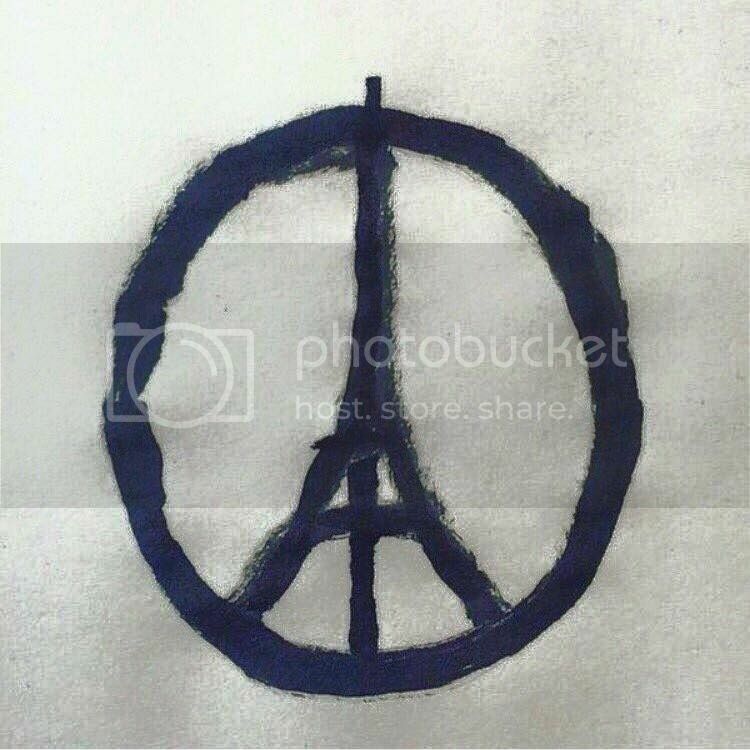 One image that seems to have touched most is the design by Jean Jullien with the side note of ‘peace for Paris’. Isn’t it sad that we even have to ask for it? 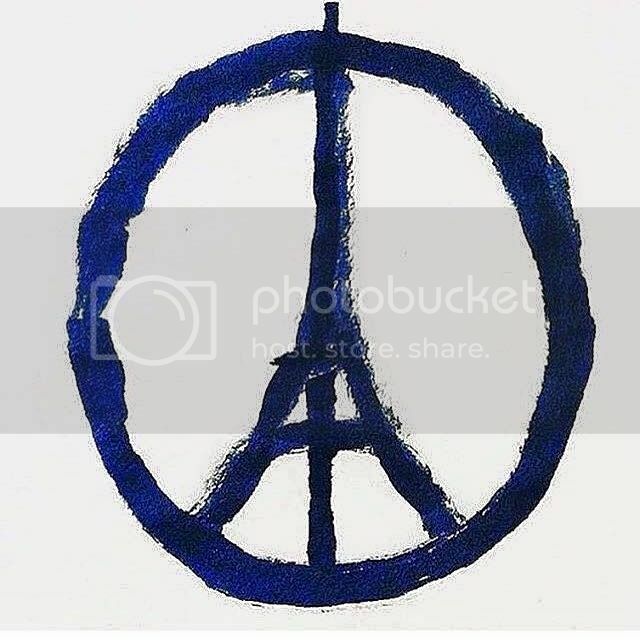 There should always be peace in Paris. There should always be peace in the world. When I think about it, it makes me feel terribly weary to consider the heavy weight of all those lives that have been affected or even stolen by the events of the previous day. These are not events like those that could have been in Japan that would have stemmed from nature. Nature is a wholly unpredictable force. But it gives life as well. What has happened in Paris is something that singularly takes. Nothing good can come from these atrocities. Life is a precious thing and should be regarded as such. We should be trying to help all of those who have been affected by this horror… but it seems that that is not the case. There are some disgusting people in this world who are using what is the darkest day in people’s lives as a means to attack innocent individuals. Do not accuse refugees or immigrants for this crime. Do not attest that they are the reason why this has happened. They are clearly not. They are running from those same beasts that have shed this blood in Paris. They are trying to escape these people, too. Do not shout how we should bomb places without thought for those innocent civilians that are suffering there. All you are doing is agreeing with the principles that have brought these vile crimes onto the French nation. An eye for an eye is not a sound argument. Do not blame all Muslims or those who follow Islamic religion. They have no blood on their hands. They have not committed these crimes. And the likelihood is that they are asking their god for peace and sending love to those affected the same way any other religion/people are. 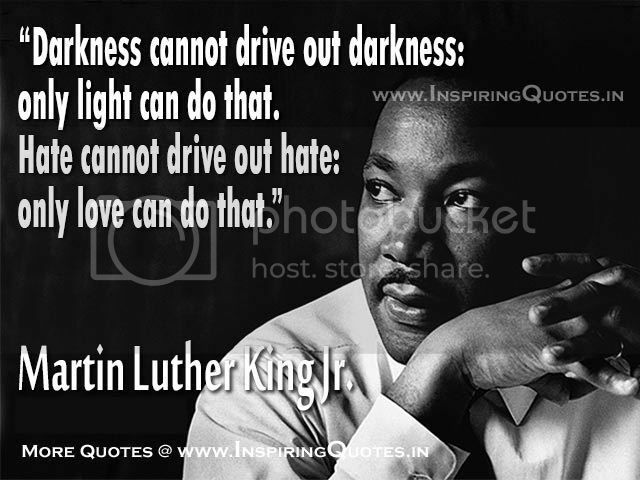 Hate does not solve hatred. It only deepens it. So… I have not yet picked up my outlining pen or cracked open a Word document to complete the novel. Instead, I am floored by my insignificance when so many are affected by these atrocities. Humanity should be greater than this. We should all be greater than this. We’ve had thousands of years to open and grow our hearts, but we haven’t. How many more deaths, pain, and suffering does it have to take?